IS WATER-BAPTISM ‘NECESSARY’ FOR ONE’S SALVATION? I do a lot of ‘street-preaching’ in my spare time. And I have found to my grief that the majority of the nominal Christians even those from strong ‘Protestant’ backgrounds when asked, “Are you born-again”? Their immediate reply is – “Yes, I have taken water-baptism”. Now this is very sad! For it is a practice in most nominal denominational Churches (at least where I live) to bring their youth to a ‘decision’ and then get them baptized at the earliest. And these baptized youth are taught that now that they have ‘accepted Christ’ by asking him into their hearts and have undergone ‘water-baptism’ they are ‘saved’! This teaching on ‘water-baptism’ is such a controversial issue that many have formed ‘cults’ out of it! There are some who affirm that if you are not baptized in THEIR little pool, by one of THEIR ordained ministers, and in THEIR ‘Church’, why, you just are not a part of Christ’s bride, but only a ‘guest’ at the ‘Marriage Supper of the Lamb’ etc. These Baptists are often called Baptist Briders or Landmark Baptists. But we be persuaded that there are those who have been baptized in the ‘right pool’ by the ‘right minister’ who are now lifting up their eyes in hell. And there are those who never came near a baptismal pool who are now in the Lord’s presence beholding His glory! Now let us take a closer look at the verse many quote to contend for the NECESSITY of ‘Water-baptism’ for Salvation – (Incidentally the only things ‘necessary’ for salvation are repentance and faith, which are both incidentally the gift of God! What does 1st Peter 3:21 mean? Is water baptism mandatory for salvation? Are we saved by water baptism? Isn’t that what the Bible is teaching here? No, not at all! This is a highly controversial passage of Scripture and oftentimes misunderstood. Many Bible students “Do err, not knowing the Scriptures” (Matthew 22:29). May we rightly divide the Word of truth (2nd Timothy 2:15) with the Holy Spirit’s guidance. First, notice the introductory phrase, THE LIKE FIGURE…” It’s important to know that the Greek word for the phrase “like figure” is antitupon, which means, “corresponding (‘antitype’), that is, a representative, counterpart.” Thus, the Bible is actually comparing a contrast between baptism and the flood. It’s also important to remember what water baptism symbolizes, that is, the gospel. The comparison made in 1st Peter 3:21 is that we are saved, just as Noah and his family were saved. However, the contrast is that they were saved from the filth of the world; but we are saved eternally by the resurrection of Christ Jesus. Noah and his family didn’t receive eternal life by getting on the ark. They were already saved, which is why they got on the ark. Noah moved with fear to build the ark because he had faith in God (Hebrews 11:7). Again, we see emphasis placed upon the resurrection of Jesus Christ in Romans 8:34, “Who is he that condemneth? It is Christ that died, yea rather, that is risen again, who is even at the right hand of God, who also maketh intercession for us.” The word “rather” following “yea” is mallon in Greek, meaning, “more (in a greater degree) or rather.” Christ died and was buried, but the greater news is that JESUS IS RISEN!!! The founding prophet of Islam, Muhammad, died and was buried, but he never rose from the dead. Buddha died and was buried, but he has not risen from the dead. Zoroaster is dead and buried, but he never arose from the grave. History’s greatest prophets and great men and women are all dead and buried, none having risen. Ah, but Jesus Christ is risen, ascended into Heaven, and is seated on the right-hand of the Father, interceding for every believer as our High Priest (Hebrews 4:15-16)!!! Amen and amen!!! So we learn here in 1st Peter 3:20-22 that whereas Noah and his family were saved from the filth of the world through the water (flood); in counterpart likeness we are saved through what water baptism symbolizes, which is the gospel of Jesus Christ; moreover, by the resurrection of Jesus Christ. CHRIST IS RISEN!!! Perhaps one of the greatest arguments against the heresy of Baptismal Regeneration (the teaching that water baptism is essential for salvation) is found in 1st John 5:13, “These things have I written unto you that believe on the name of the Son of God; THAT YE MAY KNOW THAT YE HAVE ETERNAL LIFE, and that ye may believe on the name of the Son of God.” The Epistle of 1st John was written so that a person may KNOW, for certain, that they are saved. NOT ONE MENTION OF BAPTISM OF ANY SORT IS EVER MADE IN THE THREE EPISTLES OF JOHN! If water baptism were ‘NECESSARY’ for salvation, then without question the Apostle John would have said to make sure that you’ve been baptized; but he doesn’t even mention the subject. CLEARLY, WATER BAPTISM IS NOT MANDATORY TO BE SAVED. In fact, if you add water baptism to your faith (just in case), YOU’VE CORRUPTED THE GOSPEL AND HAVE NO FAITH AT ALL IN THE SAVIOR. You are still in your sins without Christ if you rely upon water baptism as a sacrament. Some people get baptized as an added measure of protection, thinking that it can’t hurt anything to get water baptized to prepare for death; however, such thinking is a denial of the Savior altogether, for you are not wholly trusting Him to save you. It only requires faith as a grain of mustard seed to be saved, but it must be faith. It matters not how much doubt that you may have, but you MUST place all of your existing faith in the Lord Jesus Christ to be forgiven of sins and saved. Please DON’T rely upon water baptism to get you to Heaven! Trust only Jesus, the Christ, the only begotten Son of God. John 20:31, “But these are written, that ye might believe that Jesus is the Christ, the Son of God; and that believing ye might have life through his name.” Water baptism is one’s public profession of faith AFTER you are saved. We get baptized because we ARE saved, as an act of obedience to the Scriptures; and not as a part of the ROOT of saving-faith (Romans 4:5). There’s not enough warning in our churches today against the Devil’s lie of Baptismal Regeneration. 1st Peter 3:21 is one of numerous Scriptures that are often warped and twisted (wrestled as 2nd Peter 3:16 says) to lead people astray into darkness. The gospel is simple… Jesus died, was buried and rose again for our sins (1st Corinthians 15:1-4). We are forgiven of our sins through faith in Jesus as the Christ, the Son of God, Who gave His blood for our sins (Acts 10:43; 1st Peter 1:18-19; Revelation 1:5). Eternal life is a free gift to be received, not achieved (John 3:16; Romans 5:15; 6:23; Ephesians 2:8-9; Titus 3:5; Revelation 22:17). 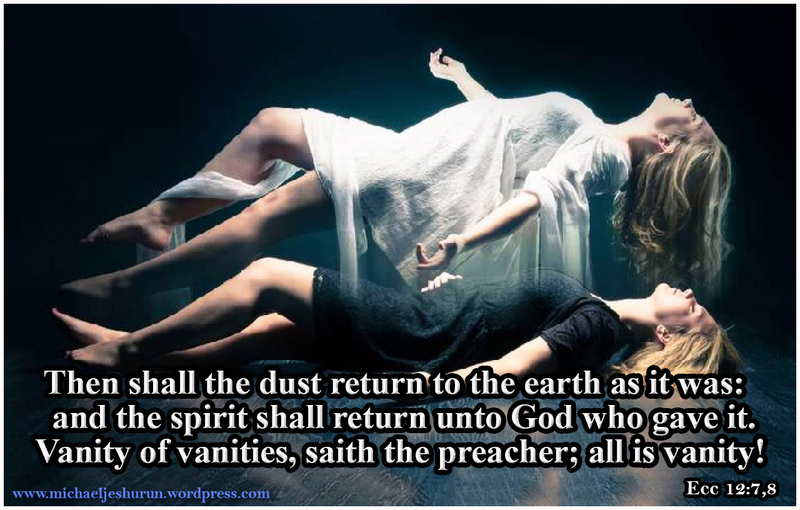 Those false prophets who add water baptism (as a necessity) to simple faith in Jesus Christ are teaching ANOTHER GOSPEL. Amen-Amein Brother in Christ-Messiah Jesus-Yeshua Michael. ❤ GOD BLESS you!! Infant baptism is another holdover from Rome. “He that believeth and is baptized shall be saved; but he that believeth not shall be damned.” Mark 16:16 Notice the latter half of the verse, it does NOT say ‘he that believeth not and is NOT BAPTIZED’ does it? Man insists on adding a work of some kind in an attempt to save himself. As you stated, this is a false gospel, as is any gospel that includes sinners ‘doing something’. Excellent points made in the article, such as faith as small as a mustard seed is all that is needed, and the focus on the resurrection, which we don’t hear much of except during the pagan celebration known as ‘easter’. Another erroneous teaching is that of ‘church membership’ – the unbiblical beliefs of organized religion knows no bounds does it?